I love receiving postcards covered with stamps, particularly when they are colorful as are most Christmas stamps. 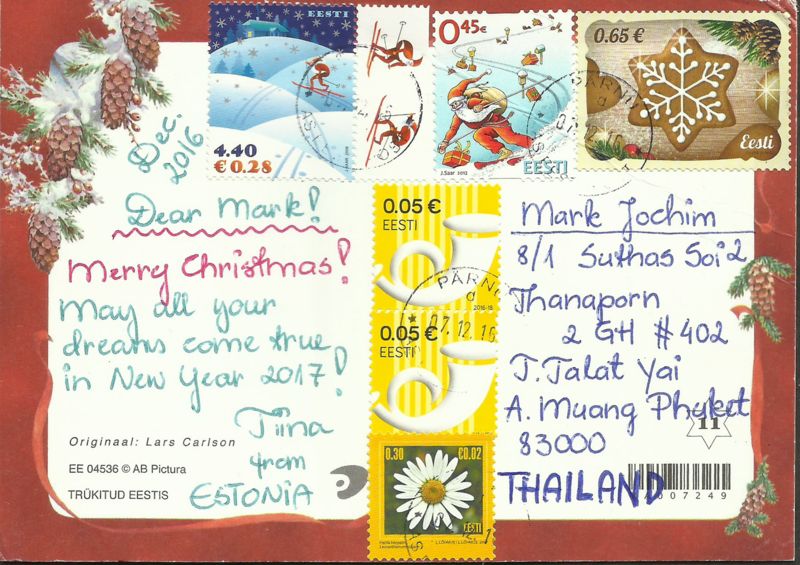 I received this one from Tina in Estonia in late December 2016, having been mailed on the 7th from the Pärnu, a popular summer holiday resort town on an inlet of the Baltic Sea’s Gulf of Livonia in the southwestern portion of the country. 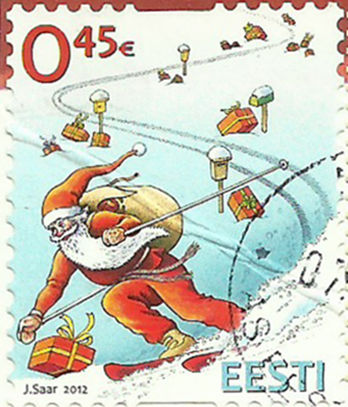 The card bears a total of six stamps — three Christmas stamps and three definitives. 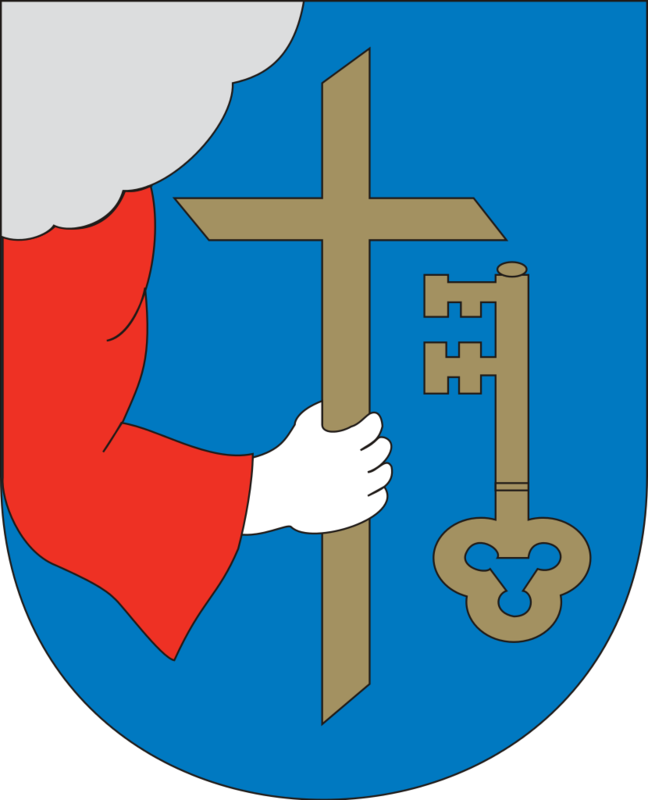 Perona (Alt-Pernau in German and Vana-Pärnu in Estonian) was founded by the bishop of Ösel–Wiek circa 1251, suffered heavily under pressure of the concurrent town, and was finally destroyed around 1600. Another town, Embeke (lNeu-Pernau or Uus-Pärnu) was founded by the Livonian Order, who began building an Ordensburg nearby in 1265. The latter town, then known by the German name of Pernau, was a member of the Hanseatic League and an important ice-free harbor for Livonia. The Polish–Lithuanian Commonwealth took control of town between 1560–1617; the Poles and Lithuanians fought the Swedes nearby in 1609. 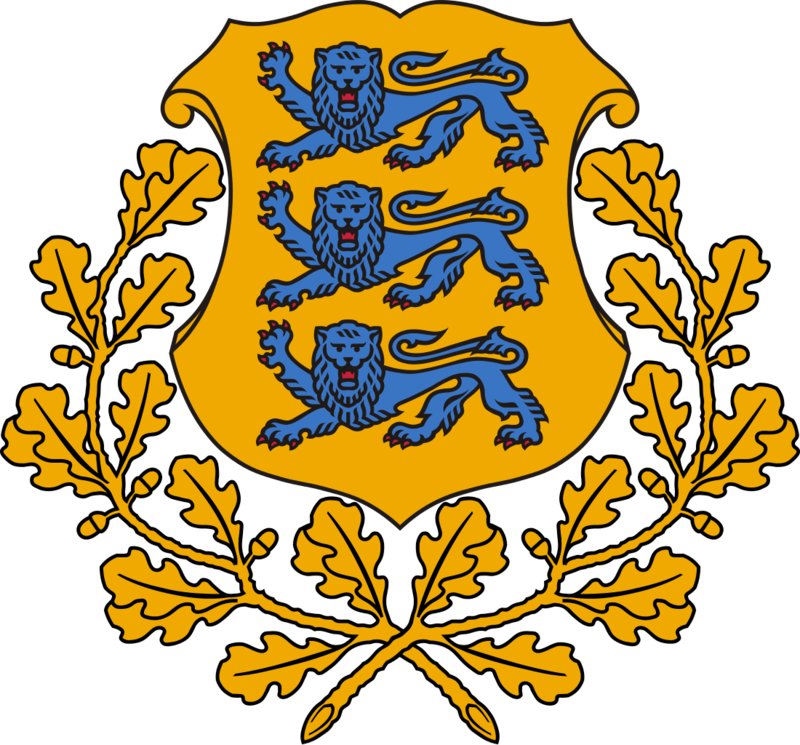 Sweden took control of the town during the 16th-century Livonian War, but it was subsequently taken by the Russian Empire in the 1710 Capitulation of Estonia and Livonia and the 1721 Treaty of Nystad, following the Great Northern War. It belonged to Imperial Russian Governorate of Livonia then. The city is occasionally referred to as Pyarnu, an incorrect reverse-transliteration from Russian Пярну. The town became part of independent Estonia in 1918 following World War I.
Aerial photo of Pärnu in Estonia. Photo taken by Kristian Pikner on May 30, 2016. Used under the Creative Commons Attribution-Share Alike 4.0 International license. The city was occupied by the Soviet Red Army along with the rest of Estonia in 1940 during World War II, and its German population left the town. 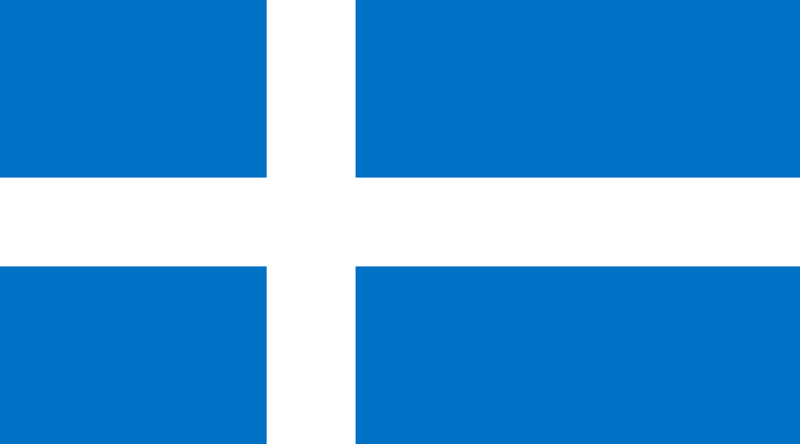 It was then occupied by Germany from 1941 until 1944 before it was reoccupied by the Soviet Union as part of the Estonian Soviet Socialist Republic from 1944-1991. During the Great Northern War, the University of Dorpat (Tartu) was relocated to Pernau from 1699–1710. The university has a branch campus in Pärnu today (1,000 students in the 2004/2005 school year). Majority of the tourists in Pärnu are Finns, Swedes and Russians. In 1837, a tavern near the beach was made into a bathing establishment. The establishment accommodated 5–6 bathrooms that provided hot seawater baths in summer and operated as a sauna in winter. The wooden building was burnt down in the course of World War I. In 1927, the present stone building of Pärnu Mud Baths was erected at the same site. 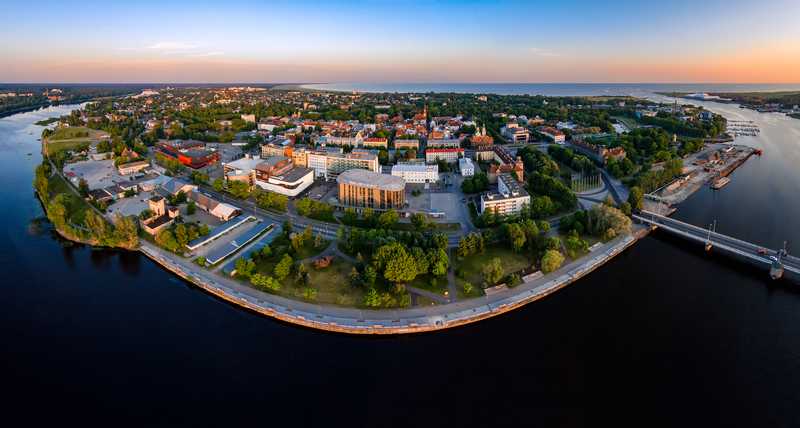 Since 1996 Pärnu has been known as Estonia’s Summer Capital. Since 2015, Pärnu has hosted the annual Weekend Festival, the largest dance music festival in the Nordic and Baltic region. Stages are headlined by DJs from across the electronic dance music spectrum, with audiovisual support. Some of the past and upcoming artists to perform include Martin Garrix, David Guetta, Avicii, Steve Aoki, The Chainsmokers, Tiësto, Armin van Buuren, Hardwell, Robin Schulz, Afrojack, deadmau5, Knife Party and many more. Pärnu is also known for its seawall. According to legend, if a couple holds hands while journeying along the wall and kisses at its endpoint they will stay together forever. 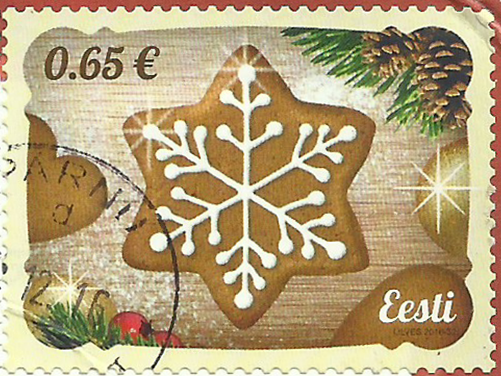 The postcard is franked with six Estonian stamps, three of which are Christmas stamps. 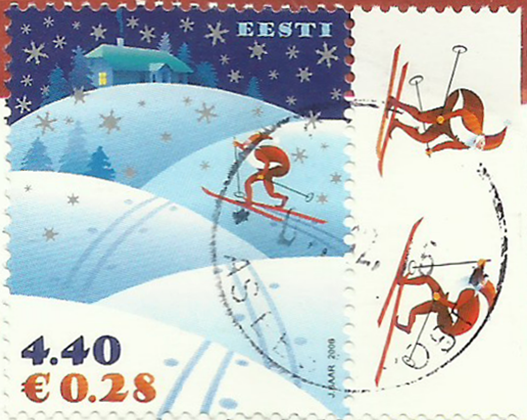 The oldest is Scott #556, a 4.40-Estonian kroon (0.28 euro cents) stamp issued on November 22, 2006, picturing Santa Claus skiing across small snow dunes.. Next, is Scott #717, a 45-euro cent stamp released on November 22, 2012, also showing a skiing Santa. For a change, we get a gingerbread star on Michel #877 which appeared on November 18, 2016, with a value of 65 euro cents. Three definitive stamps bisect the center of the postcard with two copies of the 5-euro cent yellow Post Horn (Michel #863) from May 19, 2016, and one of Scott #560 released on January 17, 2007, denominated at 0.30 Estonian kroon (2 euro cents) picturing an ox-eye daisy (Leucanthemum vulgare). The postcard picture side has a wonderful Nordic painting of elves hitching a sleigh to be pulled by a horse. Are these Santa’s helpers at the North Pole? By the way, the legend on the card — Imelisi püly — means “Wonderful walk!”, not “Merry Christmas” as I’d assumed for the past two years. 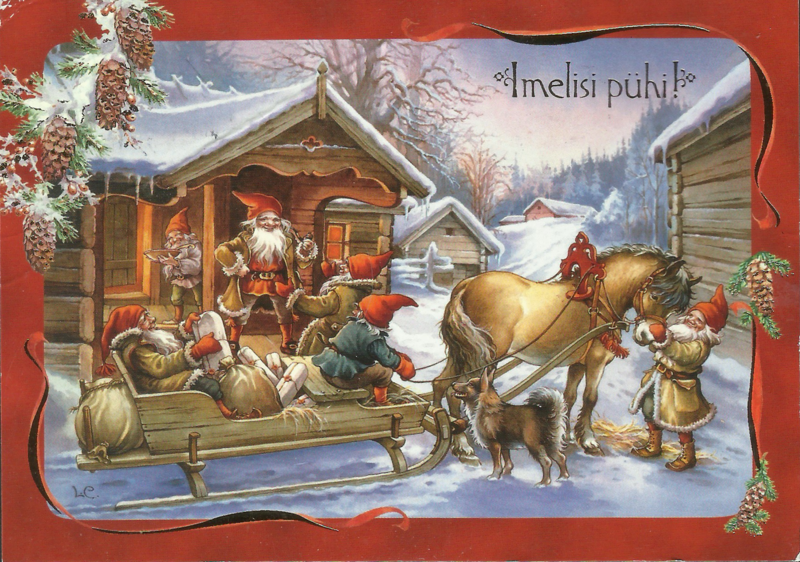 “Merry Christmas” in Estonian is häid jõule.